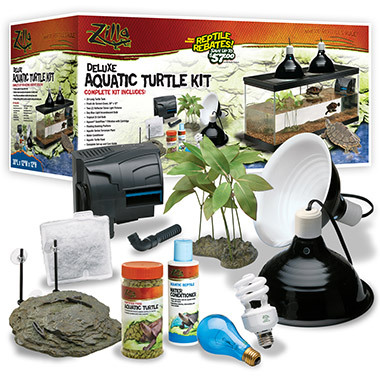 This excellent all-in-one starter kit will set you up for years of turtle enjoyment. Each habitat provides plenty of room for both swimming and basking space. Two Reflective Dome lighting fixtures keep both light and temperature at healthy levels. 20L: 30" x 12" x 12"